I was doing fairly well for the first couple of weeks. I kept thinking “this is amazing!” and “I can’t believe I’m not that tired!” Then it all caught up with me this week. And when I’m tired I crave all manner of sweets. I saw this recipe fly by on my Facebook feed and was instantly intrigued. For one I had a zucchini that I was intending to use to make muffins. But brownies sounded a lot better. And two, I had no idea how this recipe would work without flour. I had to try it. Not the most picture-perfect brownies that’s for sure. But they tasted amazing! I couldn’t believe it! I have no idea how it works without flour but who cares as long as it tastes good. I made them almost exactly as written including using a real egg, which I rarely do in baked goods. I’ll try the flax egg next time. 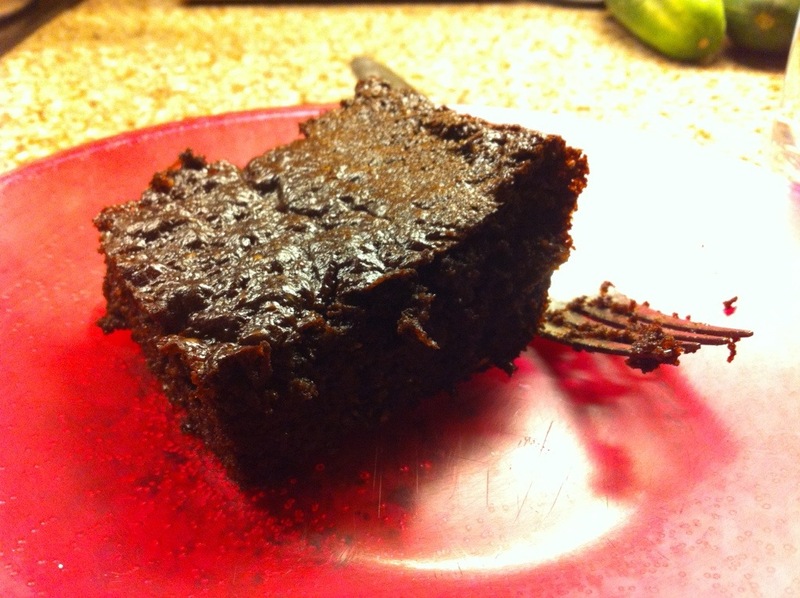 I read through a lot of the comments on the recipe and a lot of people said it turned out really good but that the chocolate didn’t melt enough to turn them into brownies. It was more like chocolate chip zucchini cake. I was in the mood for real, fudgy brownies so I melted the chocolate chips in the microwave and then folded the melted chocolate into the batter as the very last step. The other difference is I baked mine in an 8×8 square pan instead of 9×9. 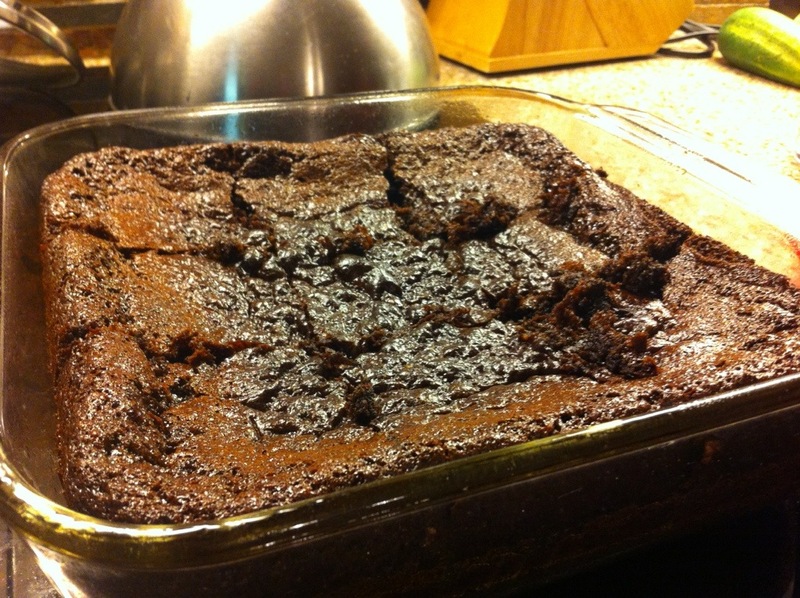 The brownies rose all the way to the top of the pan while they were baking! So mine were a little thicker, but I did not need to bake them any longer. One other note I will add is that the egg I used was very big and it actually surprised me with two yolks when I cracked it into the bowl. The eggs we buy from a local farmer at the market are ENORMOUS. They are so big you can’t close the egg container. The brownies were extremely tasty. They were very moist and fudge-like. They were actually even better the next day. I would definitely make these again and recommend them as a good way to use up extra zucchini you may have from your garden. They only downside I see is that they use up a half a $6 jar of almond butter, so they are not exactly cheap to make. I need to start making my own almond butter for sure!